NVRHA's Affiliate Associations work hand-in-hand with the National Association to provide an enjoyable learning environment where riders of all skills feel welcome. and “Like” them on Facebook to keep in touch with the goings on at CoVRHA within Colorado. Northern Lights Versatility Ranch Horse Assn. and also check them out on Facebook to see what is currently happening at NLVRHA in Minnesota and Wisconsin. 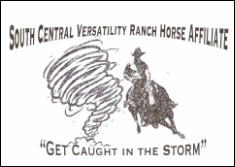 South Central Versatility Ranch Horse Assn. “Like” them on Facebook to get the current scoop on the SCVRHA Events held within Kansas, Iowa, Missouri, Arkansas, and Oklahoma. Come check out our Facebook page! Like, share and invite your friends! ​Copyright (c) 2016. NVRHA.ORG All rights reserved.